This is how it has been for months now. Compounded by the fact that the Matopos region hasn’t received a wet rainy season for several years, this year’s drought is especially dire. Several months ago, the Zimbabwean government declared a state of emergency because of the low water levels, hoping for some kind of foreign aid; but because of the state of the Zimbabwean government no aid will find its way here. It has occurred to me that establishments like Morning Star Ranch and other non-profits may be the best hope that the people here have as the dry season approaches. In previous blogs we have discussed the “Rocket Stove, as a low cost high efficiency replacement for open fire cooking. This week I want to introduce one more technology that Kate and I are hoping will impact the community in a real and implementable way. 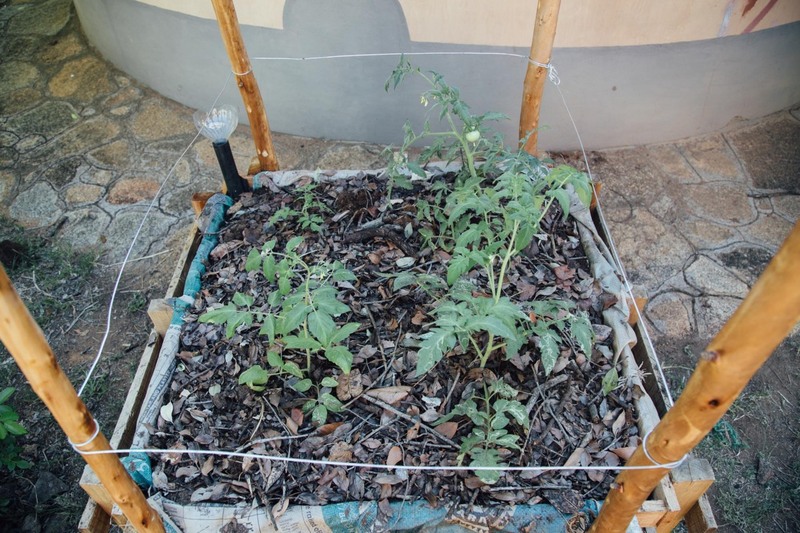 It is a simple technology for waterwise gardening called “Wicking Beds”. 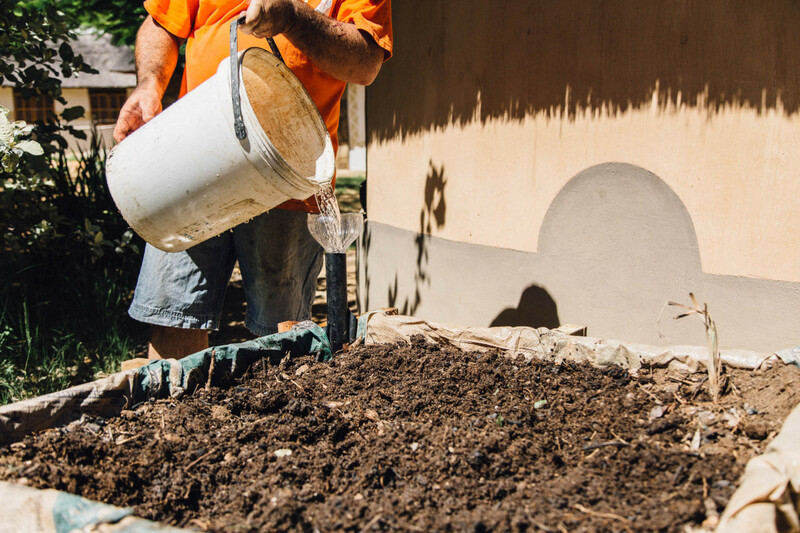 Wicking beds are self-contained raised gardening beds that water the crop from the bottom of the soil, instead of from the top. 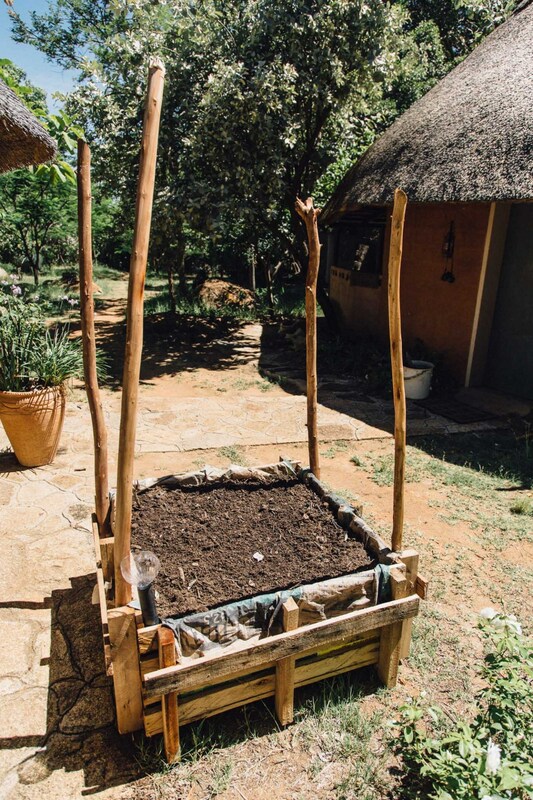 Each wicking bed contains a built-in reservoir below the planting medium that self waters yours crop for a week or more, depending on the size of your bed. If you are having trouble visualizing this, imagine dipping the corner of a tissue into a cup of water and raising it to eye level, you will see the water climb or “wick” up the tissue, wicking beds work in the same way. Because watering is done from the bottom, it eliminates any evaporation that would happen in traditional top down watering, and also because of the bed’s self-watering properties, it is perfect for areas with limited water resources. 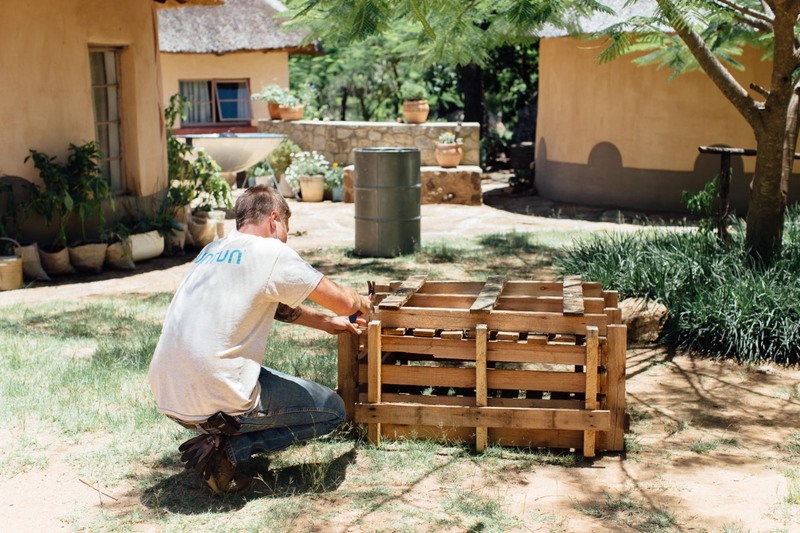 Wicking beds are versatile and can be built from just about anything that can hold water. Kate and I have build two beds thus far and are planning on building more. 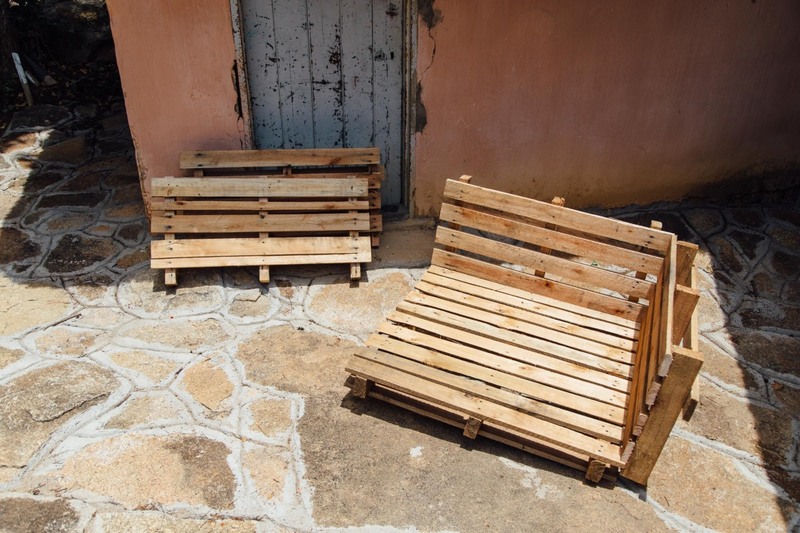 We built both of our wicking beds with recycled pallets and aluminum cans. 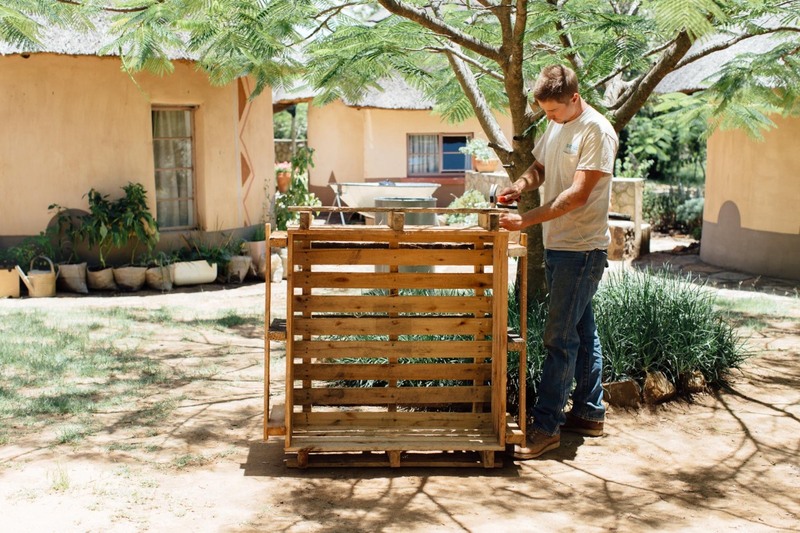 The single bed is built from 3 pallets, 1 full pallet is used for the bottom, and the other 2, once cut in half, serve as the four walls. 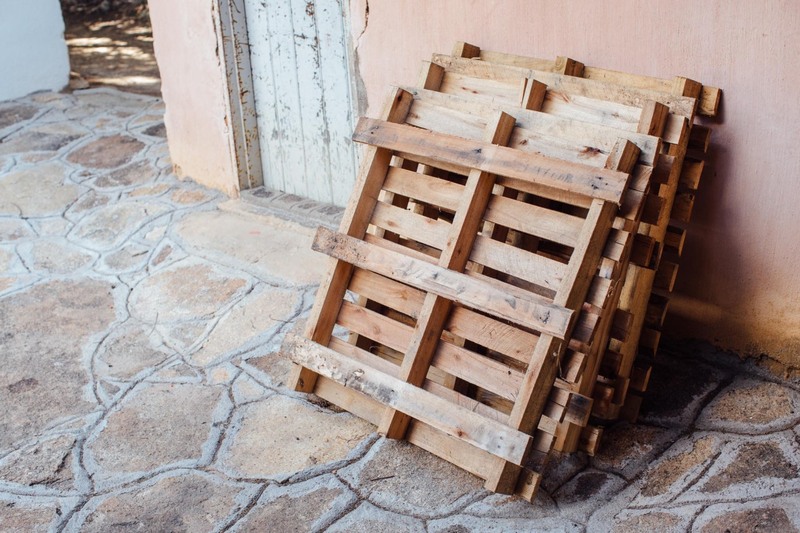 After the pallets have been nailed and fastened together, it is lined in plastic so that it will hold water (we found some old black plastic laying around the farm, available in rolls at any hardware store). We placed a couple of old feed sacks full of aluminum cans on the floor of the bed (above the plastic); this is what causes the wicking effect. DIY tutorials would tell you to use gravel for this step but we had cans, so that’s what we used. After the placing the full feed sacks, we installed a watering tube in the corner of the box (that goes to the bottom of the can layer) and covered everything with a permeable cloth. 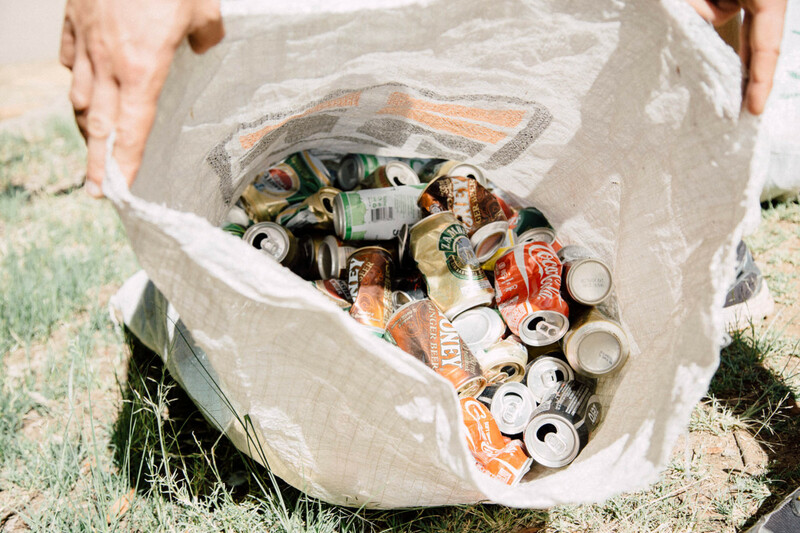 The cloth works as a barrier between the cans and the soil. 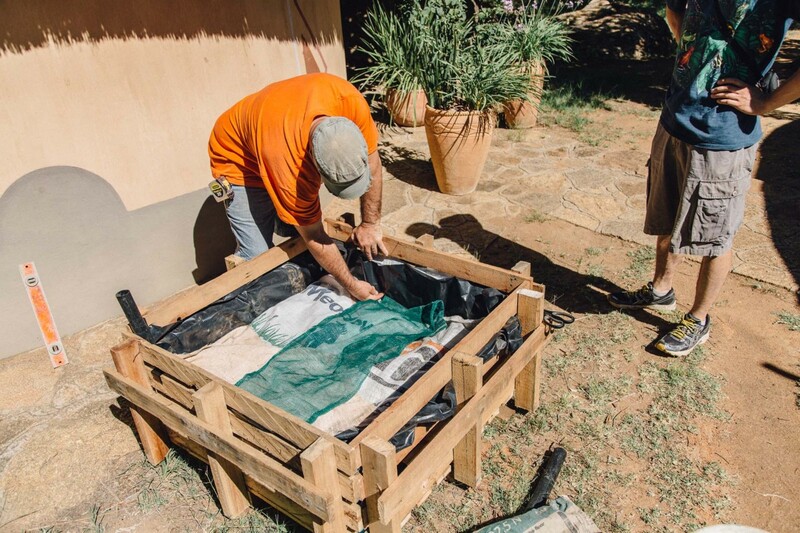 Next we filled the box with planting medium (a combination of compost, charcoal, humus, and soil). After planting, we chose to mulch the top of the soil in order to retain that much more water. My tomatoes have been in the wicking bed for more that two weeks now, and with the recent rains I have only watered them once. 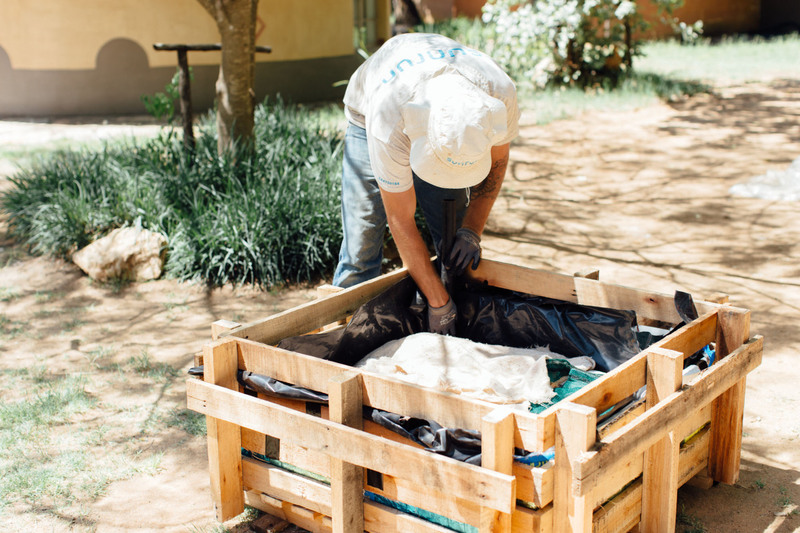 In total each bed costs less than 10 dollars to build, one dollar per pallet, and six to seven dollars for plastic and other materials. See the step-by-step photos below for more information. If you have been following our blog for any number of weeks, you have seen photos of this beautiful landscape and everything is lush and green. It may seem to the naked eye that there is no drought at all, that all this talk is just talk; but this is the rainy season (Nov-Mar) and the rain is not falling nearly enough. People are planting their crops for the rest of the year right now. If the rains do not come, God help them. People will be starving for the crops that simply didn’t grow because of the lack of water. Cattle will die on the roads because the grazing is just not available and the people here will lose their livelihoods. What we are doing at Morning Star is just a drop in the ocean of what needs to happen. Please keep Zimbabwe in your thoughts and in your prayers. And if anything I have said here has resonated in your spirit, buy a ticket, come and help, we can use every hand available.